Prince Turki al-Faisal, the former Saudi intelligence chief “As long as the armed forces are intact, the state is not going to be at risk,” he told The Washington Times. The Saudi Prince genius has figured it all out – by himself! So now that it is out, no harm in sharing the insight with the unwashed millions. It is not Islam, nationalism, pride, identity, brotherhood and other fringe intangibles that keeps this half of Pakistan intact. 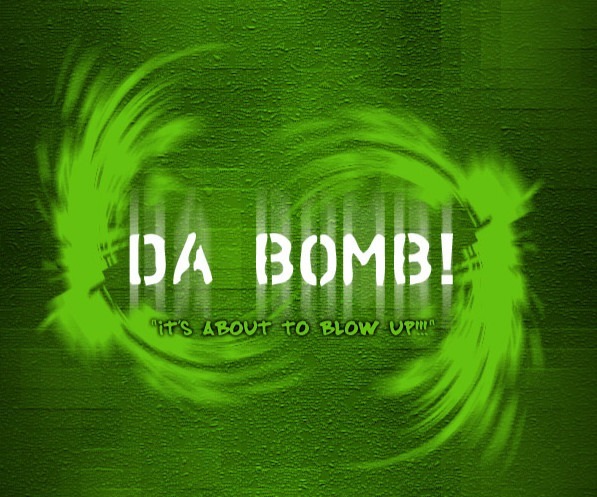 It is Da Bomb! The successors to the Raj, and her satellite cohorts would like to get their hands on the Da Bomb. You must be familiar with the arguments floated: we need to keep it from falling in the hands of the big beards. This killer machine, dubbed the Muslim Bomb would wreak havoc as indiscriminately as the Christian, Communist, Jewish or Hindu bombs. Bu that is a digression. The Army that has a country – yeah a stale joke – but valid to make the point – knows an insurance policy when it sees it. Forget we are Pakistanis for a moment? Remember we are Muslims – first and last – nice, wonderful, kind, gun toting neighbour hating Muslim. Of course this has nothing to do with Islam or Pakistan. Any one who casts even a wild aspersion over this is a bigot. True, 98 or 99% of Pakistanis follow Islam. True, at cartoons and books published in distant lands forces us to come out in the streets and burn and loot our public property. True, we believe in one Allah. True, we kill other Muslims in the name of (our) Allah without regret.